Four young Brothers who are preparing to enter the novitiate this summer each received their religious habits over the past few weeks. The habit-taking ceremonies, also called robing ceremonies, took place in June and July to welcome the young Brothers into a new step of discernment. Each ceremony symbolizes a deepening of the candidate’s commitment while publicly assuming the identity of a De La Salle Christian Brother. During the ceremonies, each Brother is present with his sponsor and receives the habit, a New Testament, and a crucifix. Brothers Roberto Martinez and Patrick Martin received their habits June 13 during the Constitutive Assembly of the Districts of San Francisco and New Orleans-Santa Fe in Sierra Madre, CA. 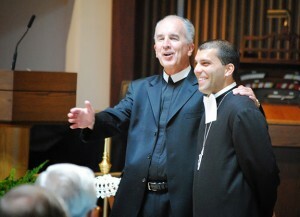 Both Brothers are members of the District of San Francisco. Brother David Deradoorian received his robe June 29 during a District of Eastern North America jubilee celebration in Lincroft, NJ. 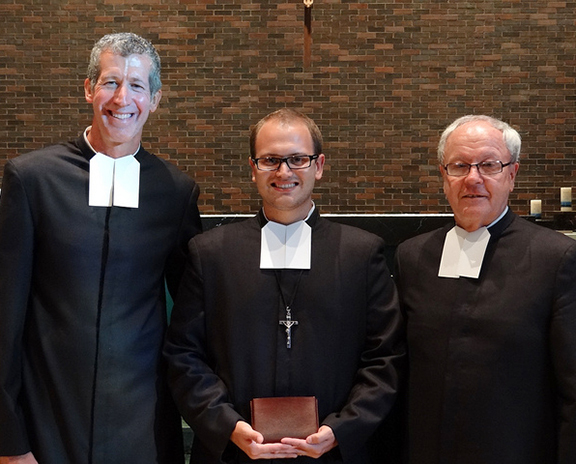 Brother Anthony Elfering received his robe during a Midwest District jubilee celebration July 20 in Romeoville, IL. Once a Brother enters the novitiate, the Institute of the Brothers of the Christian Schools officially recognizes him as a Brother. 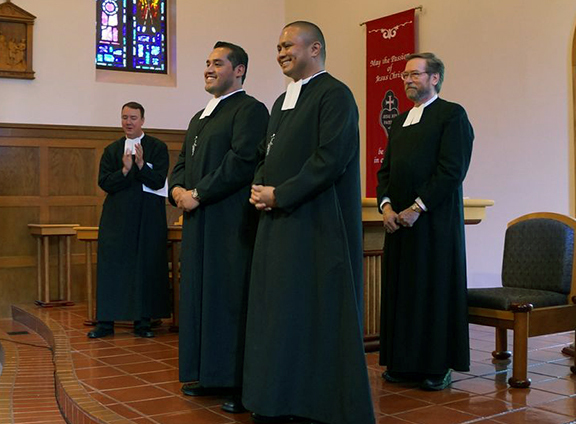 Brothers Anthony, David, Patrick, and Roberto will enter the novitiate August 12.